A glowing green ball of ice and rock is zipping past the Earth and on December 31st, it can be spotted near the crescent moon—in a dark sky, with the aid of some good binoculars. 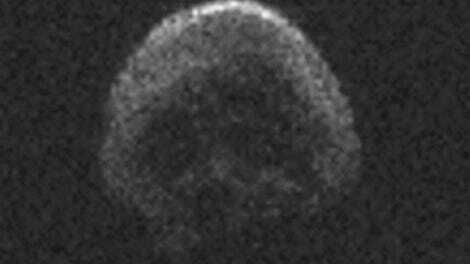 But for those hoping this comet will veer off course and take aim straight at our sorry planet? Sorry, 2016 isn’t that merciful. A short-period comet first discovered in 1948, Comet 45P/Honda-Mrkos-Pajdušáková has been just barely visible in the western sky after sunset for several weeks now, making its first appearance on December 15th near the M75 star cluster. On New Years’ Eve, the comet will make its closest approach to the Sun, placing it near the moon from the perspective of an observer on Earth. As EarthSky notes, it’ll be difficult to see Comet 45P without an extremely dark sky and a good pair of binoculars or a telescope. Venus will be shining brightly nearby, but do not be led astray—the comet is quite distinct from a star or planet, with a bright, blueish-green head and a diffuse, fan-shaped tail. To add to the New Years’ light show, Mars and Neptune will be close to each other, creating a beautiful red and blue contrast as seen through telescopes. Anybody hoping Comet 45P is 2016’s final blow will be disappointed: the object is approximately 7 million miles away, 30 times the Earth-moon distance. 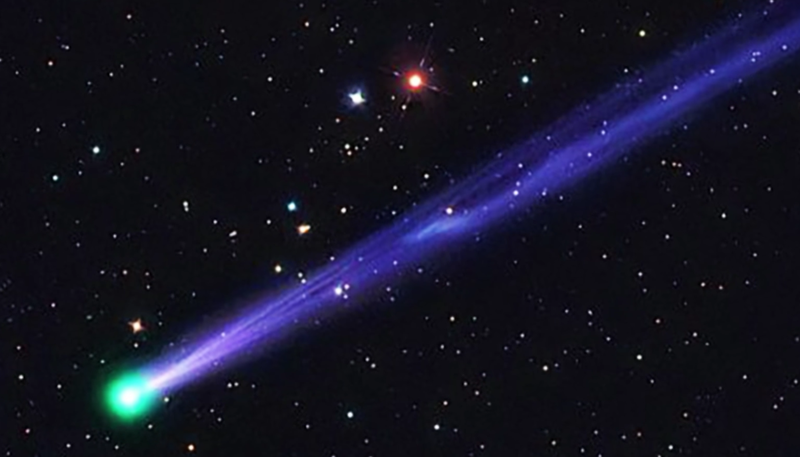 However, the comet does make a full orbit of the Earth every 5.25 years, so we can always hope for better luck on a future pass.